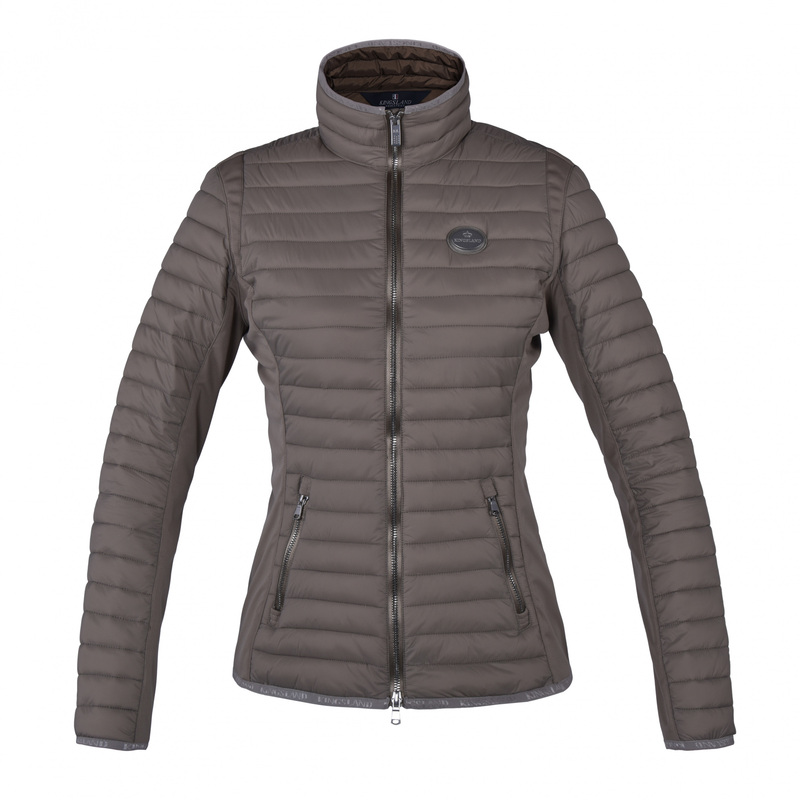 Ladies' jacket with a stand-up collar and two-way zipper. This jacket is light and warm and has quilted stripes. 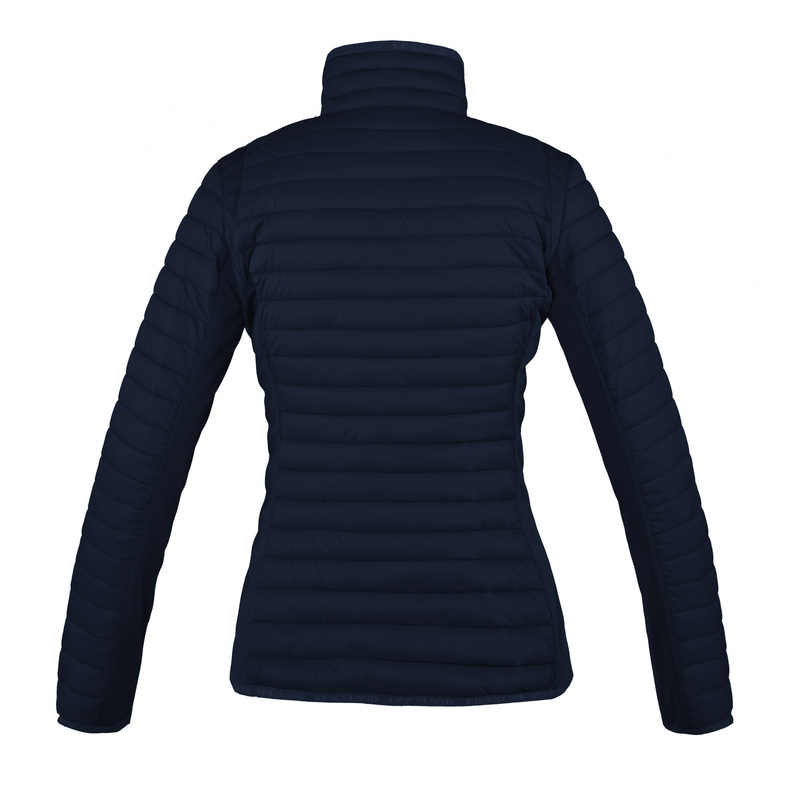 It is made of the highest quality waterproof materials that are comfortable and breathable. Softshell inserts provide freedom of movements. Its waisted cut nicely highlights body shapes. There are two zippered pockets on the front. This jacket is decorated with a metal plate with Kingsland's logo on the chest.